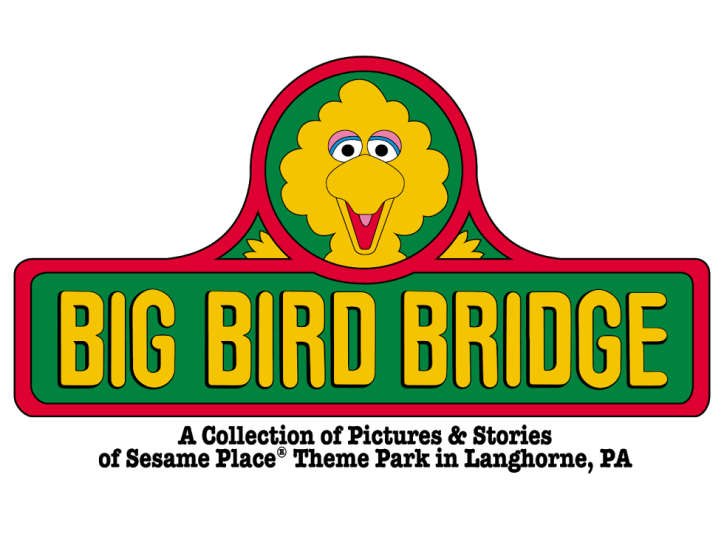 Big Bird Bridge: Another Super Grover's Cable Glide? 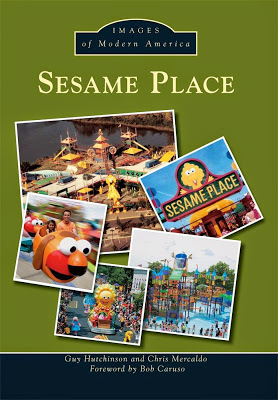 UPDATE: Thanks to Jeff Davis, VP of Operations at Sesame Place, the name of this attraction is now known. This was called Twiddlebug Hop. Here's an undated shot of a rope swing attraction that went over top of some "speed bumps". Was this was a later version of Super Grover's Cable Glide? The building in the background (then the Computer Gallery, now Cookie's Cafe) would put it near the right location. Here is another shot that appears to be from the other side. In the past we have uncovered two different Super Grover's Cable Glide attractions. 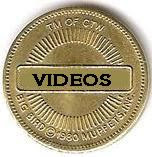 Is this a third one? I'm not sure. 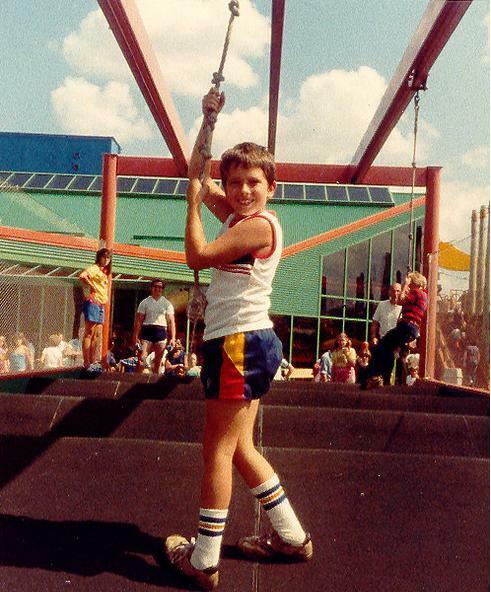 Perhaps the "speed bumps" were put in to keep kids from being able to fall as far if they let go of the rope. Any idea? Let me know in the comments!